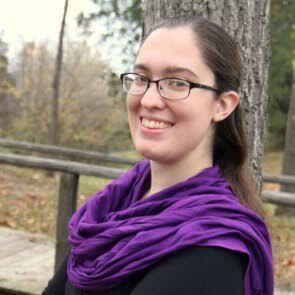 Allison Gingras is a Catholic blogger, author, social media evangelist, retreat leader, inspirational speaker and podcaster with a unique, practical, and humorous way of sharing a life with Christ! FINALIST: 2015 IAN Book of the Year, Historical and Romance 1896, Philadelphia. In this stand alone sequel to “In Name Only” (2009, FQP), “A Subtle Grace” continues the story of the wealthy and unconventional O’Donovan Family as they approach the dawn of a new century. At 19, Kathleen (oldest daughter) is unmarried with no prospects. Fearing the lonely fate of an old maid, her impatience leads to an infatuation with the first man who shows interest. The suave, handsome son of the local police chief seems a perfect match. But will her impulsive manner prevent her from recognizing her true love? A disturbing turn of events brings a dark shadow that threatens the life-long happiness she desires. This coming-of-age story captures a vanished world of outdoor action and introduces Mark Twain’s two most enduring literary characters, Tom Sawyer and Huckleberry Finn. In a novel that Twain termed a “hymn to boyhood,” Tom and Huck fish and swim in the Mississippi River, search for buried treasure, and hide in a haunted house. Tom Sawyer falls for pretty Becky Thatcher, tricks his pals into painting a fence for him, and stages an elaborate prank on the schoolmaster. Around the edges of this idyllic boy-life, however, loom dangerous events in the fictional village of St. Petersburg: Tom and Huck witness a midnight murder in a graveyard, the killer escapes from the courtroom while Tom is testifying, Tom and Becky become lost in a labyrinthine cave, and two sinister villains plot robbery and revenge against a wealthy widow. Pinocchio, in Carlo Collodi’s original version, is an adventure-filled, menacing fairy tale with a moral. Made by the woodcarver Geppetto, the puppet Pinocchio dreams of becoming a real child. But his unrestrained curiosity, dishonesty, and selfishness put him in constant peril. As he journeys from the deceptive “Field of Miracles,” where he plants gold coins to make them grow, to the land where lazy boys turn into donkeys, Pinocchio’s path is paved with mistakes, willfulness, and danger. And all the while his nose keeps growing bigger and bigger and bigger every time he tells a fib, so all the world can see what a liar he is . . . Check out the reading list for all of 2018. For notifications that each month’s SRBT is available for viewing/listening, subscribe to my YouTube channel. Plus, click here to check out our NEW GOODREADS FEATURE! It’s a list! On Goodreads! Vote for books we’ve already featured and add any books you think we should discuss in the future! Featuring Special Guest Joseph Pearce. A native of England, Joseph Pearce is senior editor at the Augustine Institute; the editor of the St. Austin Review, an international review of Catholic culture; series editor of the Ignatius Critical Edition; and executive director of Catholic Courses. Joseph has hosted two 13-part television series about Shakespeare on EWTN, and has also written and presented documentaries on EWTN on the Catholicism of The Lord of the Rings and The Hobbit. He is also a regular guest on national television and radio programs. GIVEAWAY! Comment on the video by April 30, 2018, and be entered to win your own copy of King of the Shattered Glass! Beautifully illustrated in color for young elementary school readers, King of the Shattered Glass is a gentle parable about asking for forgiveness and receiving God’s mercy! The Scarlet Pimpernel narrates the story of a rich English baronet who rescues French aristocrats facing the guillotine. He also taunted his enemies after each rescue by leaving behind a card that has a small flower on it – the scarlet pimpernel. It is a brilliant adventure story set at the time of the French Revolution. The plot is fantastic and rarely lets the readers pause for breath as it oscillates between London society and the dark night in Coastal France. This bewitching play, Shakespeare’s final work, articulates a wealth of the playwright’s mature reflections on life and contains some of his most familiar and oft-quoted lines. The story concerns Miranda, a lovely young maiden, and Prospero, her philosophical old magician father, who dwell on an enchanted island, alone except for their servants — Ariel, an invisible sprite, and Caliban, a monstrous witch’s son. Into their idyllic but isolated lives comes a shipwrecked party that includes the enemies who usurped Prospero’s dukedom years before, and set him and his daughter adrift on the ocean. Also among the castaways is a handsome prince, the first young man Miranda has ever seen. Comedy, romance, and reconciliation ensue, in a masterly drama that begins with a storm at sea and concludes in joyous harmony. Sign up here to get monthly reminders to tune in to Sabbath Rest Book Talk. This month’s episode features special guest Sr. Maria Grace Dateno, FSP, author of The Gospel Time Trekkers Series. Sister was able to join us for the whole episode! What’s going on for April? We’ll be hosting special guest Joseph Pearce of EWTN fame, discussing our theme of Forgiveness. Get next month’s reads here. Join us for our next SABBATH REST BOOK TALK! Featuring Special Guest Joseph Pearce. A native of England, Joseph Pearce is senior editor at the Augustine Institute; the editor of the St. Austin Review, an international review of Catholic culture; series editor of the Ignatius Critical Edition; and executive director of Catholic Courses. Joseph has hosted two 13-part television series about Shakespeare on EWTN, and has also written and presented documentaries on EWTN on the Catholicism of The Lord of the Rings and The Hobbit. He has participated and lectured at a wide variety of international and literary events at major colleges and universities in the U.S., Canada, Britain, Europe, Africa and South America. He is also a regular guest on national television and radio programs, and has served as consultant for film documentaries on J.R.R. Tolkien, Francis Thompson and Alexander Solzhenitsyn. GIVEAWAY! Comment on the video by April 30 and be entered to win your own copy of King of the Shattered Glass! Full Cycle – winner of Best Inspirational Fiction in the 2017 Next Generation Indie Book Awards – tells the story of eleven-year-old Alex Peterson, whose physical disability makes him one of the least-athletic boys in his school. Still, Alex dreams of doing something unimaginable: the 200-mile, one-day Seattle to Portland bicycle ride. COMMENT LIVE TO WIN YOUR COPY OF FULL CYCLE! (One winner will be selected at random from live commenters during the show; a signed hard copy to a US mailing address OR eBook to non-US address). A 2018 major motion picture, in A Wrinkle in Time, Madeleine L’Engle introduced the world to the wonderful and unforgettable characters Meg and Charles Wallace Murry, and their friend Calvin O’Keefe. When the children learn that Mr. Murry has been captured by the Dark Thing, they time travel to Camazotz, where they must face the leader IT in the ultimate battle between good and evil—a journey that threatens their lives and our universe. A Newbery Award winner, A Wrinkle in Time is an iconic novel that continues to inspire millions of fans around the world. Ten-year-old William receives a wooden model of a medieval castle as a gift. It has everything he could possibly want, right down to a miniature drawbridge, a portcullis and a silver knight. In this enthralling story that weaves the everyday problems of growing up with magic and fantasy, the castle introduces William to an adventure involving magic, a ferocious dragon, a wicked wizard, and his own personal quest, where courage will finally triumph over fear. Sabbath Rest Book Talk returns this Sunday, March 5 at 7pm Eastern! People, I am really fired up to talk about To Kill a Mockingbird. This is the third time I’ve read it. The first time was in high school, and I mostly relied on the movie to help me just barely pass my test, because I was a lazy student. The second time was about 15 years ago, and I loved it… but I felt I didn’t get the ending. I wasn’t even troubled by it. I just assumed I didn’t get it, and the problem was with me. Who was I to judge an American classic with strong moral themes? That seems like such a blasphemous thing to say, from an American of (presumably) decent conscience. How can you be angry with To Kill a Mockingbird?! What are you, some sort of racist monster? Lord, defend me from the sin of racism. However, Lord, defend us all from the sin of self-justification. Want more? You will just have to watch this month’s Sabbath Rest Book Talk. To keep on top of each month’s SRBT selections, do sign up for my monthly newsletter. That’s it for March! While we’re here, gentle reminder: To keep on top of each month’s SRBT selections, do sign up for my monthly newsletter. Welcome, Tomato Pie Fans! I’m taking a hiatus from blogging to finish the sequel to DON’T YOU FORGET ABOUT ME. Meanwhile, I have a series of guest bloggers taking care of the place. Let’s meet today’s guest, Rebecca Willen. I Admit It! I Have a Word Addiction. Do you ever feel a shiver up your spine when a particular phrase of prose or poetry hits you just right? Do you visualize conversations in your head in Times New Roman, 12 point? Do you enjoy Bananagrams, Scrabble, and crosswords? Do you get absurdly excited about new bookshelves? If so, you might just be a word addict like me. Welcome to the club! Whenever I get the dreaded interview question “Tell me about yourself,” my answer usually involves the fact that I really like words and people. My two loves work in tandem – words have little purpose without someone to listen or read them but find their end in the communication of truth to a receptive mind. Likewise, communication, counsel, teaching, and so many other forms of written or spoken words help people to bond and grow. The challenge with technology and social media is that the value of words can be lost. Popular vocabulary is dwindling, and the beauty of a word is reduced to an arbitrary number of characters, or an attempt to catch a short attention span. On the other hand, the myriad methods of communication, and the speed at which words can be transmitted from one person to another, allow words to gain new impact and power. For a word addict like me, the challenge is to reinforce in my friends, my readers, and all those with whom I communicate, the truth that words are important. Every word you use, down to its order in a sentence and the inflection of your voice, carries with it a vast array of connotations and connections. A good writer knows how to use words to draw a reader into their story, to wring the heart and spark thoughts in the mind. A good speaker knows how to grab the audience’s attention and keep it, while communicating important information in a way that interests and encourages retention. As a Catholic, I have a great responsibility for the words I use. I can, and must, try to communicate God Himself, infinite Truth, through words. A single word misspoken can ruin another person’s image of the Church; in an apologetic conversation, a badly-used term can muddy the waters; in counsel, a wrong word can ruin a friendship. But think of what can be done positively through words! Look at the great saints and writers of the Church. They took their responsibility seriously and gave words their greatest possible power for good. I like to help words achieve that power, in my own little way. Right now, that means working as a freelance proofreader and getting experience so that someday I can be an editor. (Consider this a commercial break—I’m looking for proofreading jobs starting in September!) And honestly, you’d be surprised how a misplaced comma or badly chosen word can mess up the message of a sentence or work. Writing is also fun and valuable, something in which I’m trying to grow. If you’re a word addict, writer, speaker, blogger, bibliophile, or use social media, be encouraged! The Word has given Himself to be our aid and support. May the Lord bless and keep you in all that you do with the words He has given. Rebecca is a confirmed bibliophile, a word addict, and if you haven’t guessed, a bit of a nerd. Having recently graduated from Christendom College, she’s starting out in the world as an anachronistic millennial, and retains her sanity by never leaving the apartment without a book. She writes at Our Hearts are Restless, and works as a database analyst and freelance proofreader. Contact Rebecca.